We have a wide range of furniture collections and colours, to ensure you can create just the right look for any outdoor area. • First place your lavender heads into a bowl and pour the boiling water on top. • Cover the bowl with cling film and leave to rest for 10 minutes. • Now remove the lavender heads from the water, using a strainer. 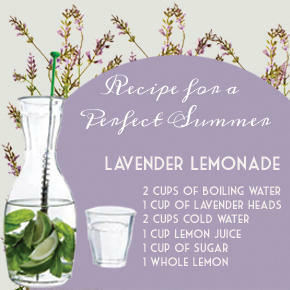 • With the lavender infused water add the sugar until dissolved. • Then slice the lemon and add the remaining ingredients. • Pour into a carafe and keep chilled until serving. •Fry the onion, garlic and brown chicken in olive oil on medium heat, add the rice and sauté. When the rice is translucent, add stock slowly with saffron and bring to simmer. Now add and arrange the rest of the ingredients, season and cook for c30 mins. 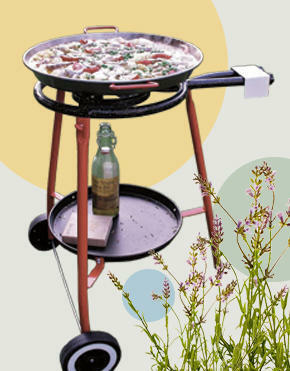 For the last 5 mins cover with tin foil, turn up the heat to create the socarrat. Serve straight from pan with lemon wedges.